If you think Crazy Cowboy is just a western food restaurant, then you don’t really know much about them. 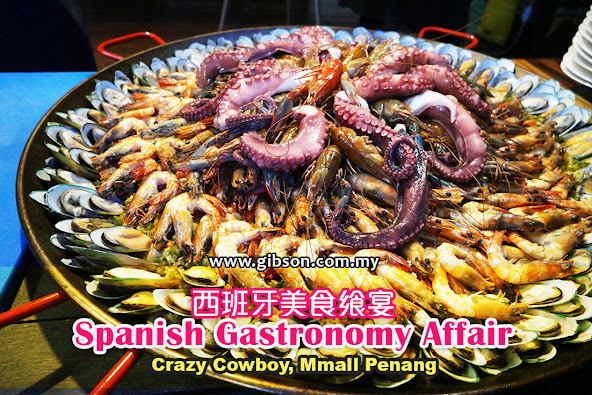 They are more ambitious than you can imaging, that’s why they brought in the finest Ham in the world to Penang, while invited Chef Rainer to cook the most astonishing Giant Seafood Paella. It was a special occasion that Crazy Cowboy hosted a Spanish Gastronomy Affair to introduce Spanish’s dishes, which may be soon available in the restaurant menu. One of the highlights was the free flow of Jamon Bellota Iberico Ham that was served by mastercut Oscar Mateos. Many will agree that Jamón ibérico de bellota (acorn) ham is the finest Ham in the world, where the pigs are allowed to roam freely in the oak forests and eat only acorns during its last period. Due to the good diet and exercise, and cured for 4 years with the right temperature and humidity, the fat in the ham is almost like Olive oil, which is consider as good fat. According to mastercut Oscar Mateos, an 8kg leg of ham cost about RM2000, which you need to pay a well-trained mastercut around RM500 to do the fine cut, while you only get 60% of the meat out of the whole leg. When you have fine food, you will never enjoy without wines. The night started with free flow of the ham that served with baguettes, balsamic olive oil dressing and grilled cherry tomatoes. ^Spanish Dessert – Cheese cake platter. 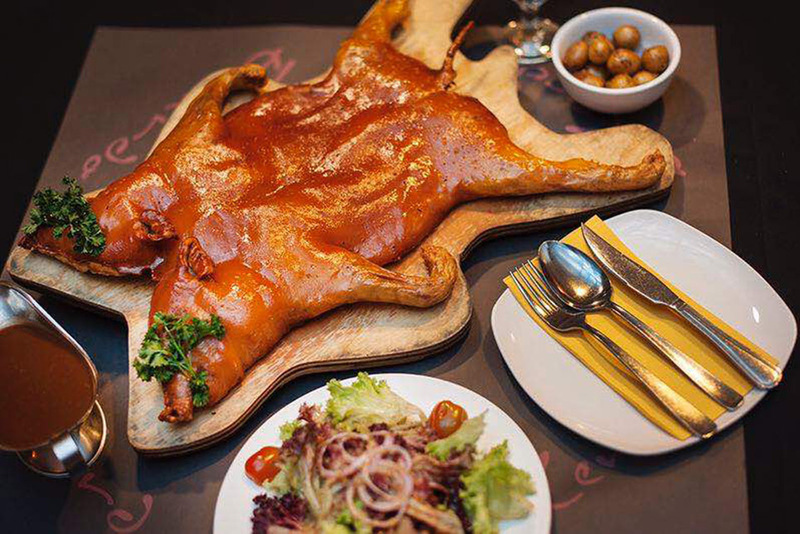 If you like to try out the Spanish dishes, you can always send your request to the restaurant, so that they can inform you when the menu is available.